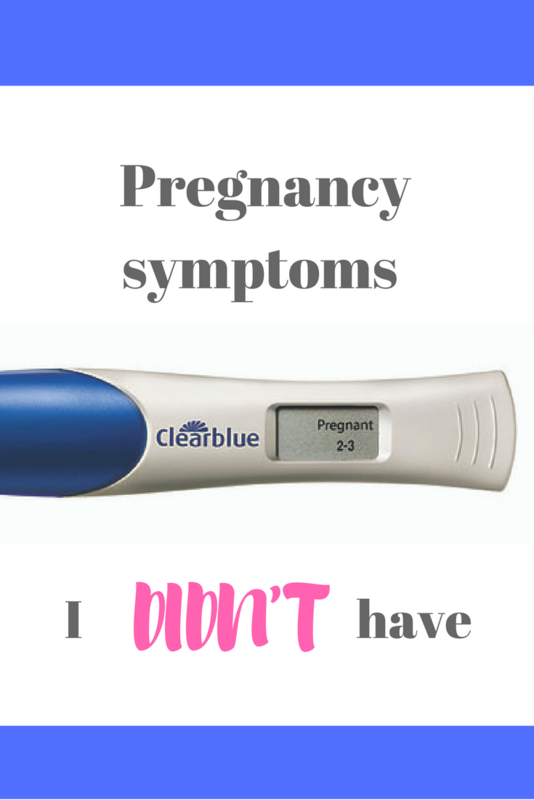 I’ve talked a lot about pregnancy symptoms I did have when I was pregnant (here in my posts on unusual pregnancy symptoms and pregnancy symptoms in the second trimester) but what about pregnancy symptoms I didn’t have? This might sound fairly random, I know – but bear with me! When it’s your first pregnancy and you’ve never been that close to any pregnant women, it can be difficult to know what to really expect. You tend to patch together a picture from films / TV / reading all the pregnancy info you can get your hands on, as well as piecing together things other people tell you. If can often be difficult to know what it’s really going to be like, especially if you’re keeping your early pregnancy a secret and just want to talk about it at length with everyone, but can’t really do that yet. I wanted to talk about pregnancy symptoms I didn’t have because one of the reasons I had pregnancy anxiety in the first trimester was due to my pregnancy symptoms and how I felt in early pregnancy not matching up with how I thought I was supposed to be feeling. Which made me think that I wasn’t pregnant ‘enough’ or that something was wrong. As I didn’t have my first scan till 12 weeks, in my hormone-addled and emotional mind there was no proper proof that there was even anything in there. I don’t think I’m alone in feeling like that, am I? So I wanted to show that not all pregnancies are textbook pregnancies with identical, matching symptoms. Or that even subsequent pregnancies are the same. And along with all the millions of weird symptoms, there’s some you might only get slightly and then some you might not even get at all. Morning sickness: I had morning sickness, but was hardly ever actually sick. Mine came in the form of extreme nausea and dizziness – like seasickness or, annoyingly, a hangover without any of the fun the night before. It did not involve constantly being sick, or any kind of random vomiting in my handbag on the tube that you always read about. It wasn’t until my second pregnancy was the same I realised this is how I do morning sickness. Bizarre pregnancy cravings: Cravings are such a huge part of the pregnancy ‘myth’ – it’s almost expected that you’ll have lots of weird ones, usually pickles and ice cream. Some women do have this, but then lots don’t. All my cravings were fairly, boringly normal – cereal and milk (I must have needed the calcium and folic acid). I had more aversions than anything else and these changed all the time, usually within the time it took to prepare dinner. I still can’t eat avocados, even now, the evil green slimy things. Extreme pregnancy hunger: I didn’t have extreme hunger until I started breastfeeding, when oh boy did I have extreme hunger – as in I had to drop everything and eat food, right that second. Sure, there were times during pregnancy when I ate more, but I never felt that ravenous, ‘eating for two’ hunger during pregnancy. Extreme tiredness in the third trimester: Pregnancy is TIRING, there’s no denying that. It’s exhausting when you work full time and even more exhausting when you have toddlers to look after, too. 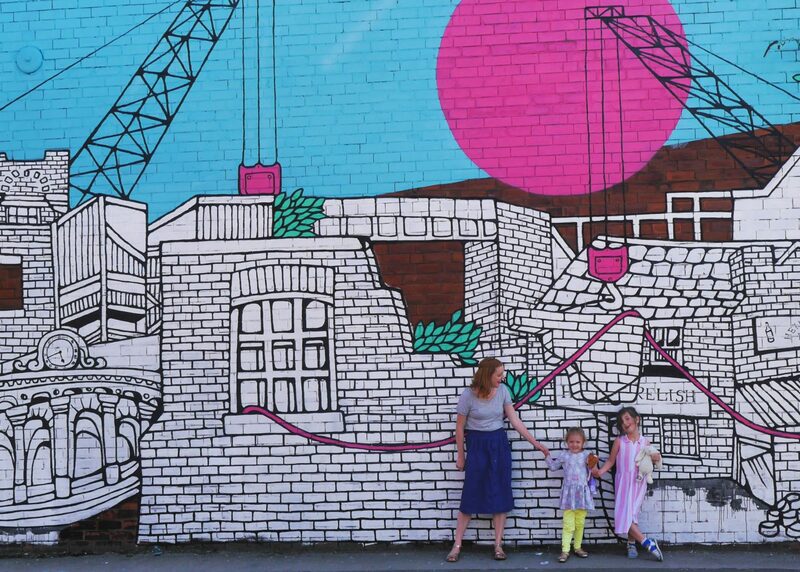 It took a long while to get the pregnancy burst of energy in the second trimester with my second pregnancy, but then it never went away – even at the end. I think, as I had to run around after my toddler this is what I did so the energy just stayed as I stayed active (I really think this helped me have a quick second labour). Heartburn: As the old wives tale goes, if you have heartburn it means your baby will be born with hasir. I had none in my first pregnancy and my daughter was born with loads of hair. I had a lot of awful heartburn in my second pregnancy and my daughter was born completely bald. Figure that one out, old wives. 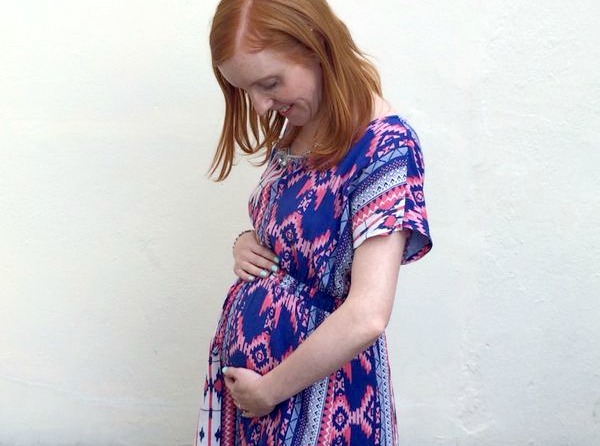 Metalic taste in your mouth: The final pregnancy symptom I didn’t have (that I remember!) While I was struggling to fall pregnant in the first place, this was one of the signs I looked out for. Was that a funny taste in my mouth, or just…dinner? When I actually became pregnant, I didn’t really have this either. So what I’m trying to say is that pregnancies are different and there’s no ‘right’ way to be pregnant. But if you’re worried about anything at all, chat to your midwife (or call the labour ward). They’d much rather you spoke to them and will never feel that you’re bothering them.